Pictured Rock Cave - It's Cool! 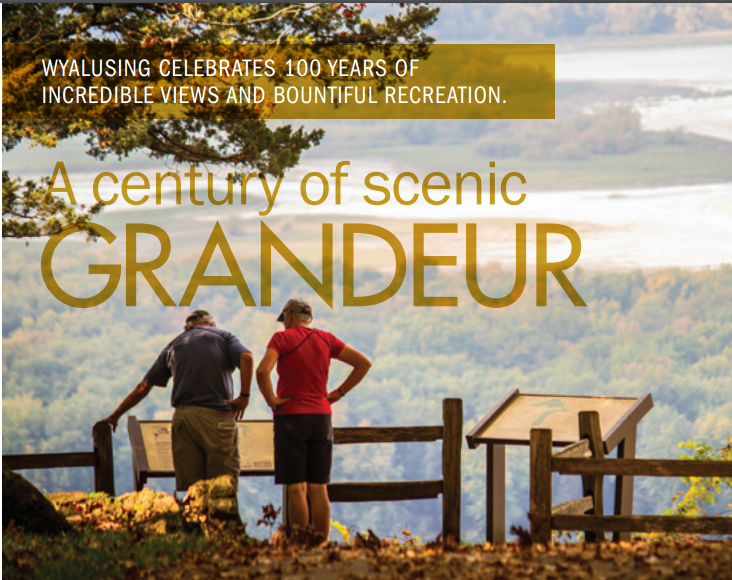 Whether camping in the secluded campsites of Homestead Campground or high atop Wisconsin Ridge Campground at Wyalusing State Park in Bagley, WI, the heat and humidity of July takes its toll on campers. Sooner or later, one has to look for relief. 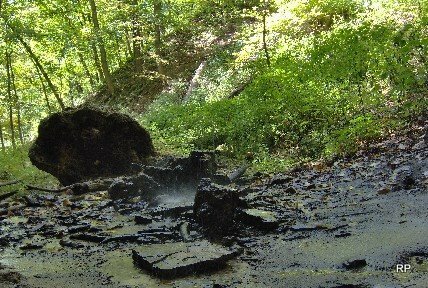 Pictured Rock Cave, located along Sugar Maple Nature Trail, offers a mosquito, gnat free area with a cool, relaxing spring-fed water fall. 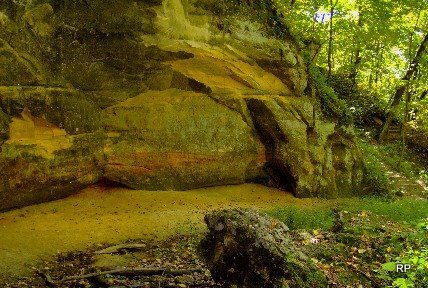 Pictured Rock Cave is a sandstone outcropping. During earlier times, Pictured Rock Cave offered protection from the elements and relief from the heat for Native Americans and early settlers. Picto-glyphs could be found on the walls of the cave. However, over time, and vandalism, the picto-glyphs have disappeared. There is no better place to spend a hot-summer day. Bring along a chair and a book. Or, just sit and contemplate the conversations of Native Americans and early settlers. Leave only footprints behind. 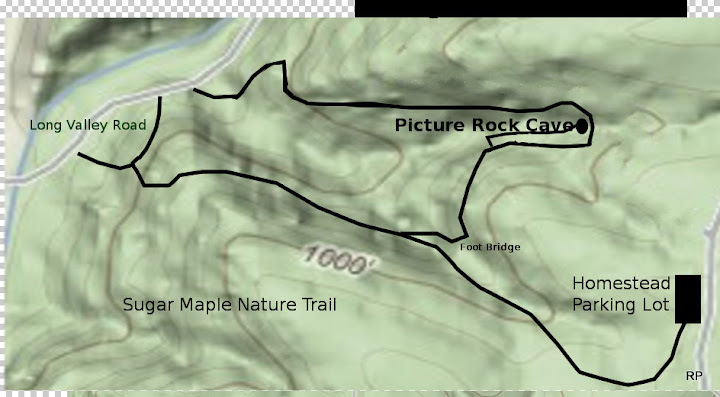 To reach Pictured Rock Cave, drive to the Homestead Picnic area. Park in the small lot east of Homestead picnic shelter along Cathedral Tree Drive. Walk along Sugar Maple Nature trail. take the wooden bridge crossing a small ravine. Continue down the wooden steps until a Y in the trail is reached. Turn left along a wooden fence. Follow the short trail to Pictured Rock Cave. 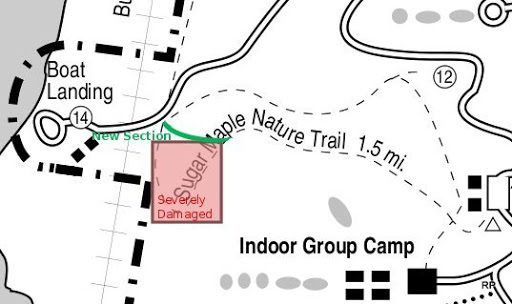 Dogs are not allowed on Sugar Maple Nature Trail.